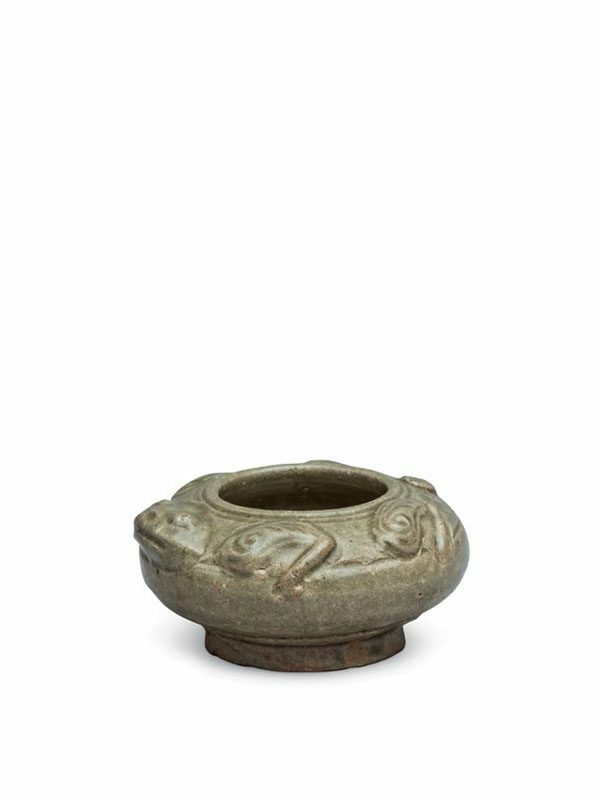 A stoneware water pot in the form of a frog, the globular vessel standing on a slightly concave base. The body is applied with a frog’s head, four frog’s legs and a stubby tail. 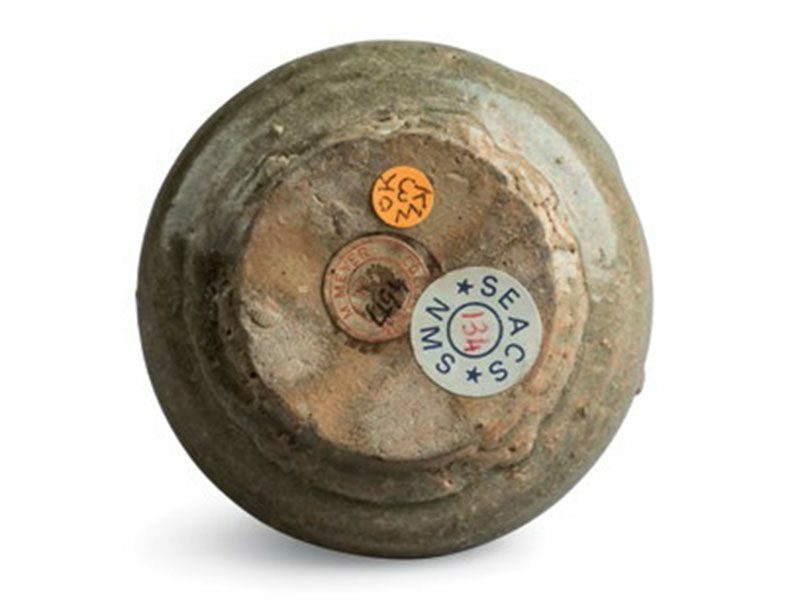 Both the interior and the exterior of the pot are covered in a translucent greyish green glaze, leaving only the concave base unglazed and revealing the orange stoneware body.